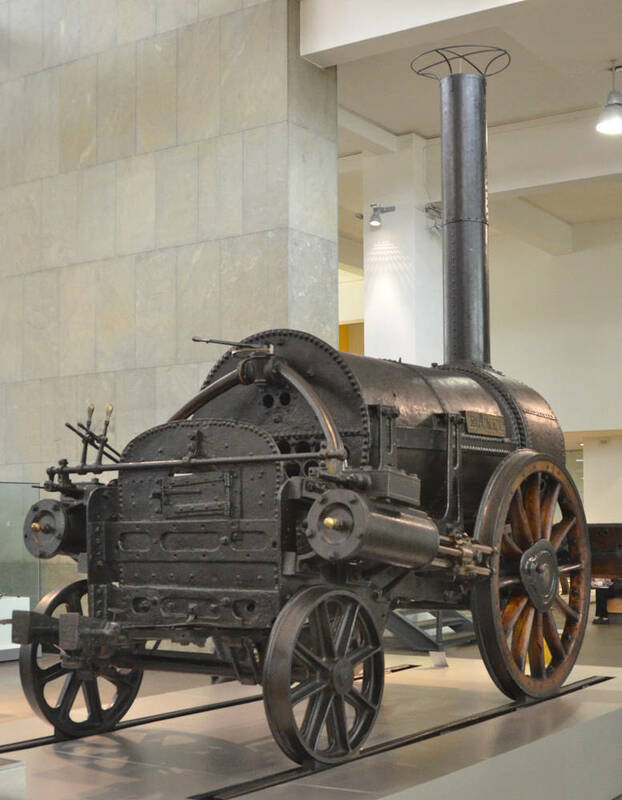 Rocket marks one of history's key advances in technology — the first modern steam locomotive. 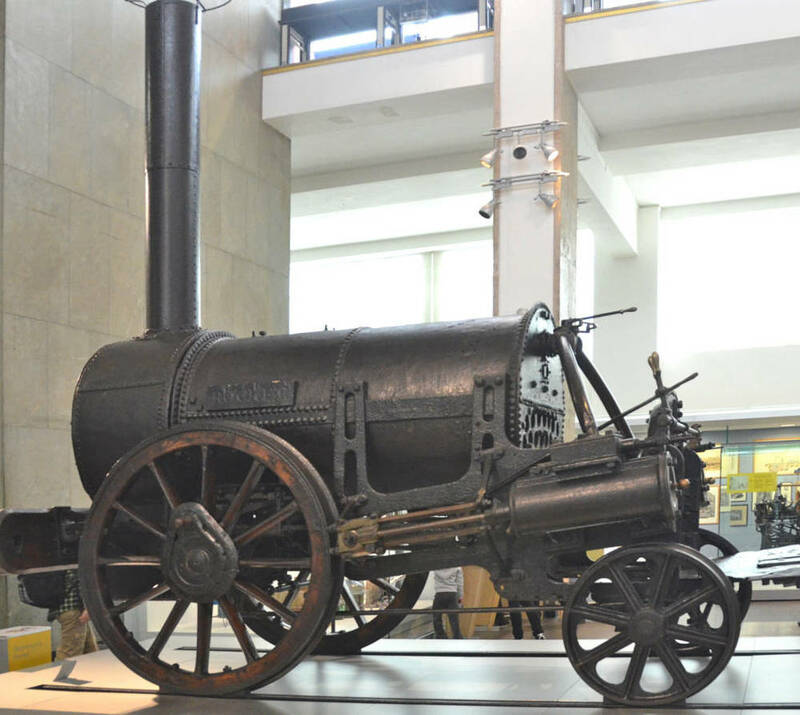 Science Museum Group announced that it will loan Stephenson’s Rocket, one of Britain’s most iconic feats of engineering, to the Great Exhibition of the North 2018. As Newcastle and Gateshead make preparations for the official launch of the Great Exhibition of the North in 2018, the Science Museum Group has confirmed that the historic locomotive will return to the city in which it was built, for the first time since it was acquired for the nation in 1862. Great Exhibition of the North takes place from 22 June to September 2018 across NewcastleGateshead showcasing great art, culture, design and innovation from across the North of England, with exhibition hubs at Great North Museum: Hancock, BALTIC Centre for Contemporary Art and Sage Gateshead. In 1923, Buster Keaton had a functioning replica built for the film, Our Hospitality. As absurd as it appears onscreen, the train in the film is actually modeled after the "Stephenson Rocket,"; and the bicycle Keaton rides at one point is an exact replica of the very first bicycle, the "Gentleman's Hobby-Horse." Two years later, the replica was used again in the Al St. John film, The Iron Mule, directed by Keaton's mentor, Roscoe "Fatty" Arbuckle. There are at least two other replicas of Rocket in the USA, both built by Robert Stephenson and Hawthorns in 1929; one is at the Henry Ford Museum in the Metro Detroit suburb of Dearborn, Michigan, the other at the Museum of Science and Industry, Chicago. George Stephenson (1781 – 1848) who was an English civil & mechanical engineer, sometimes known as the “Father of Railways” for his achievements building the world’s first inter-city steam locomotive railway system. His rail gauge also known as the “Stephenson Gauge” is a standard of most railways across the world. 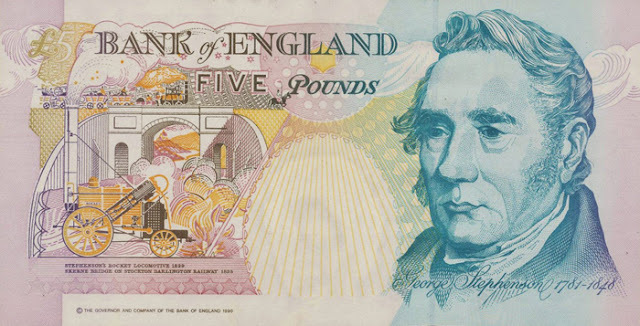 An error inscribing the printing plate had meant that the date on six million notes was wrong. It's most likely the engraver misread the handwriting and inscribed the plates 1971-1845 instead of the correct date of his passing of 1848.